Child's Play: Montessori games and activities for your baby and toddler is the perfect book for any new Montessori family. The easy to follow Montessori activities allow parents and teachers to entertain and teach children through purposed play. As a Montessori Momma it is awesome to see so many wonderful resources available. Child's Play is one of the first books I added to our collection. 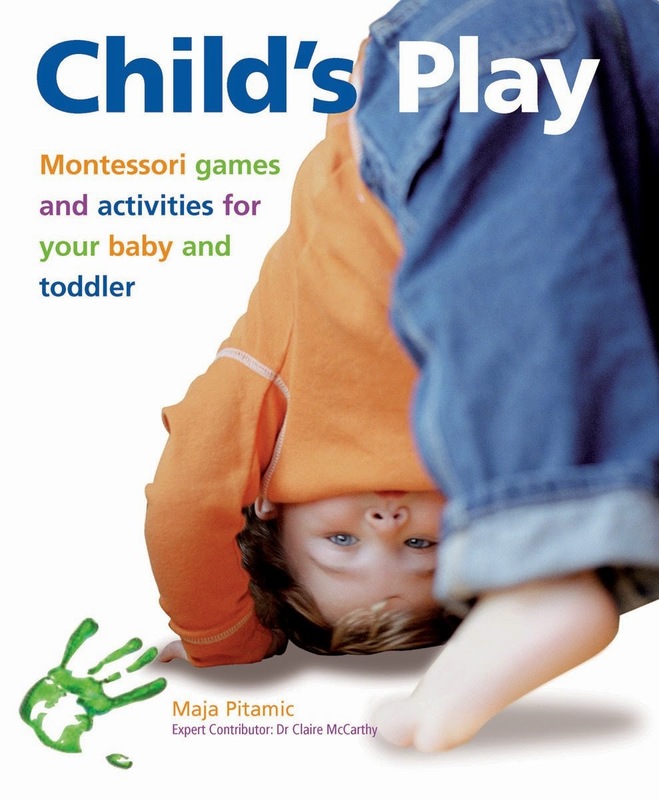 Child's Play: Montessori games and activities for your baby and toddler is 159 pages of awesome activities and templates. I love that the activities are divided by chapters like coordination and out and about. The chapters open with a development timeline with the appropriate age level listed. This helps parents understand their child's developmental level. The activities are typically one to two pages long with pictures to accompany descriptions. (Quick and easy for busy mom's to read over!) The activities have a list of materials needed and step by step instructions. Each activity has listed the suggested age for the activity, but it is stressed to know your child's abilities. 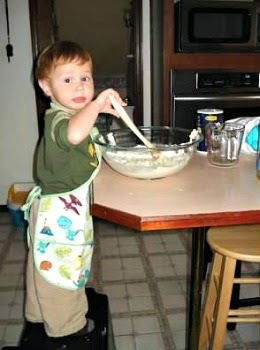 Some children are ready for harder activities sooner than others. My son was 18 months old when we put together an activity out of this book called The Wacky Races. The age for this activity was listed as 1+ and we found all the materials in my craft boxes. Total price to put this together $0! Re-purposing is my middle name. Part of The Wacky Races is to make play dough to use as the track. 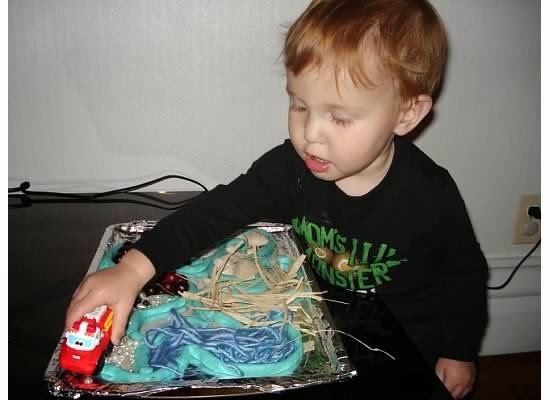 Samuel helped me make the play dough recipe that was also an activity in the Arts and Crafts chapter of Child's Play. Although this did have some parts that needed a stove, Sam loved being apart of the process. Are you looking for affordable Montessori lessons and activities! 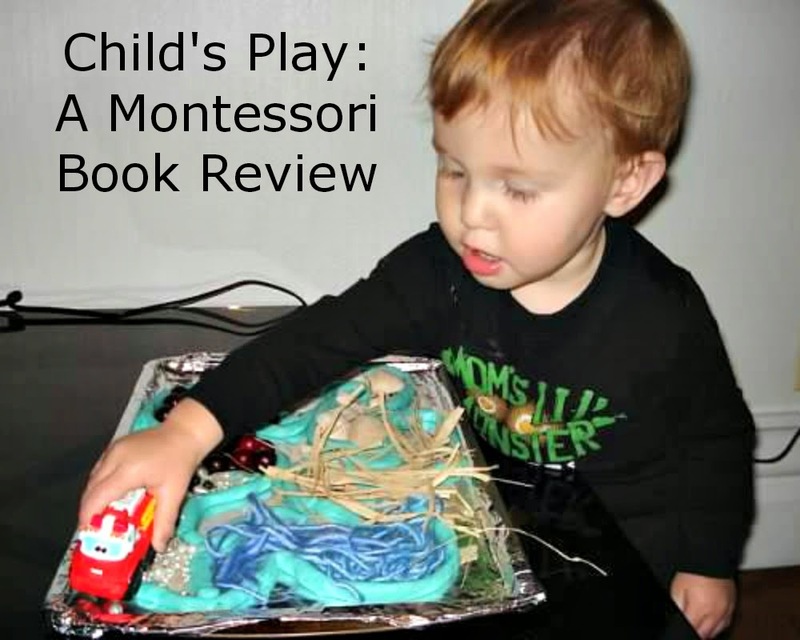 I highly recommend Lisa Nolan's affordable online Montessori programs!